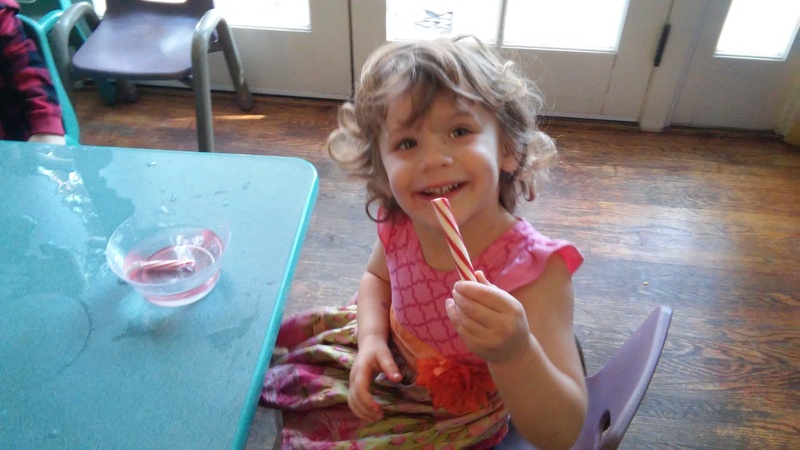 During the holiday season, candy is prevalent in all aspects of the celebration. 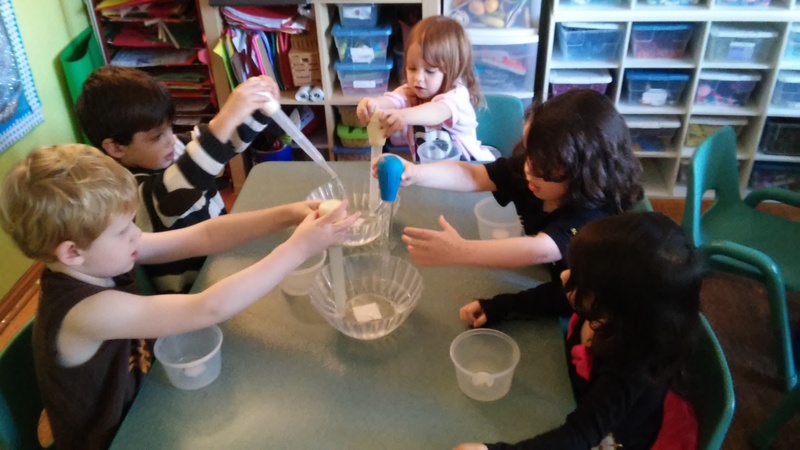 To capitalize on all of the sugar, we decided to conduct a science experiment! 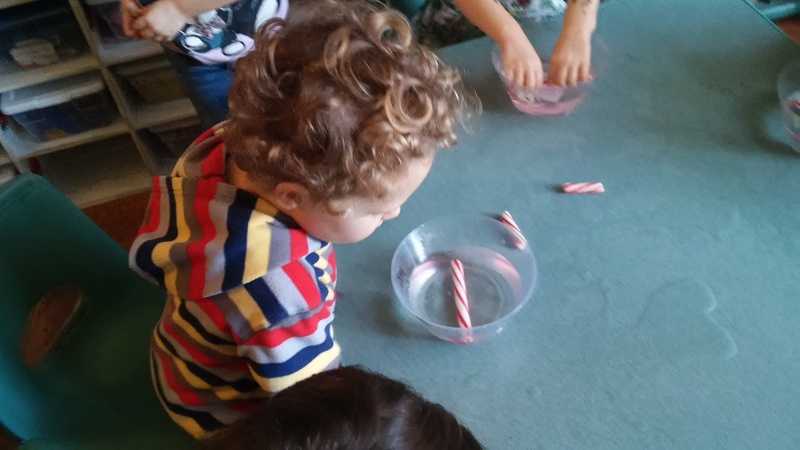 Using candy canes, M&Ms, and water, we observed the interaction between water and these sugary treats. 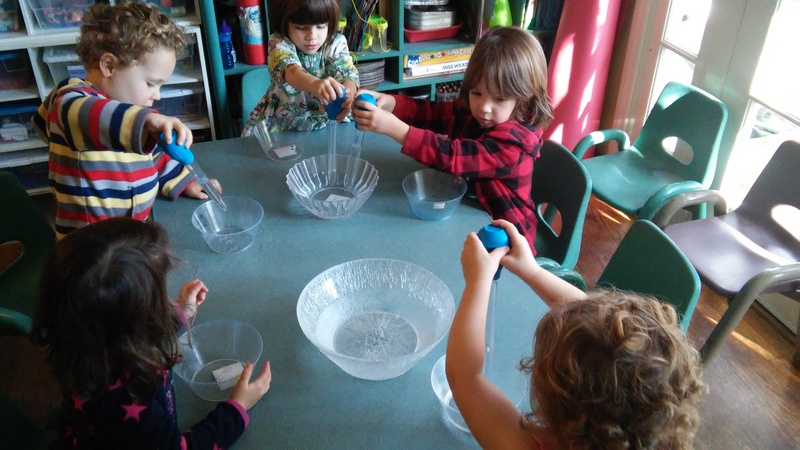 This activity enabled your little one to explore concepts such as dissolving, the polarity of water (how it is a universal solvent), density, and the structure of candy. 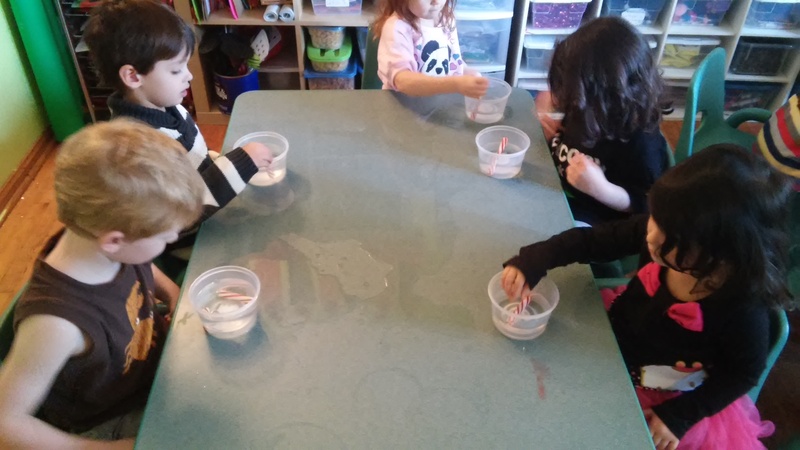 After the various candies were placed in water, they eventually dissolved. To help foster their understanding of how the world works, it is essential that they learn about the various materials in their lives, and the interactions between them. This activity also cultivated their observation skills.